We’d love your help. Let us know what’s wrong with this preview of Book of Hartwell by Phil Wohl. This is the first book of the Blood Shadow new-age vampire series. It is early 20th century San Francisco and the Black Death has taken over the city. Thomas Hartwell loses his wife and young son to the plague and is ready to take his own life, until someone knocks on his door and says, "Don't do it. I have a way that you will be able to see your wife and son again." The sto This is the first book of the Blood Shadow new-age vampire series. 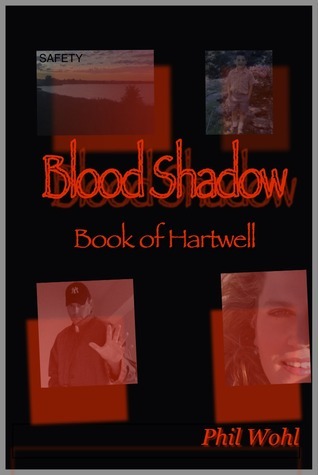 To ask other readers questions about Book of Hartwell, please sign up. Great concept. Thrilled to find a new, interesting take on otherwise well-worn vampire territory. Easy to read. Action, ideas, emotion--well done, Phil! Phil Wohl is a professional writer by day and fiction novelist by night. Wohl has written 40 books and 3 screenplays/movie scripts as an independent author, including Inseparable, Locker Room, High School Rivalry, Experiment, Apprentice and Reunion, BlueBalance, Organic Nation, the Personal Truth series and Blood Shadow vampire series. The Brooklyn, NY native gains pleasure from making people feel Phil Wohl is a professional writer by day and fiction novelist by night. Wohl has written 40 books and 3 screenplays/movie scripts as an independent author, including Inseparable, Locker Room, High School Rivalry, Experiment, Apprentice and Reunion, BlueBalance, Organic Nation, the Personal Truth series and Blood Shadow vampire series. The Brooklyn, NY native gains pleasure from making people feel anything and everything through his words.